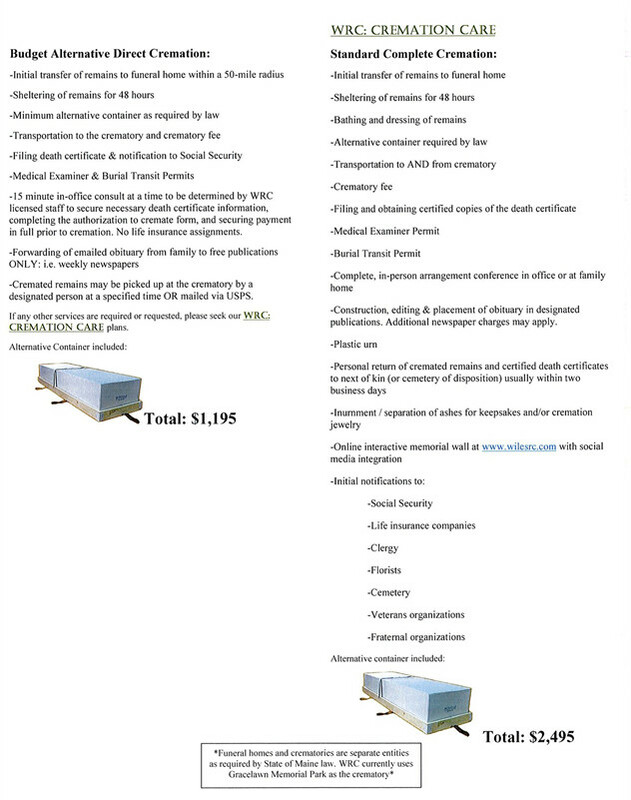 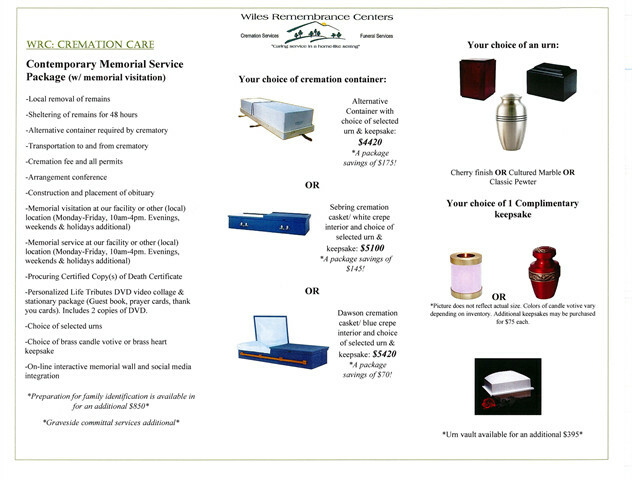 We are proud to announce the Cremation Care division of Wiles Remembrance Center. 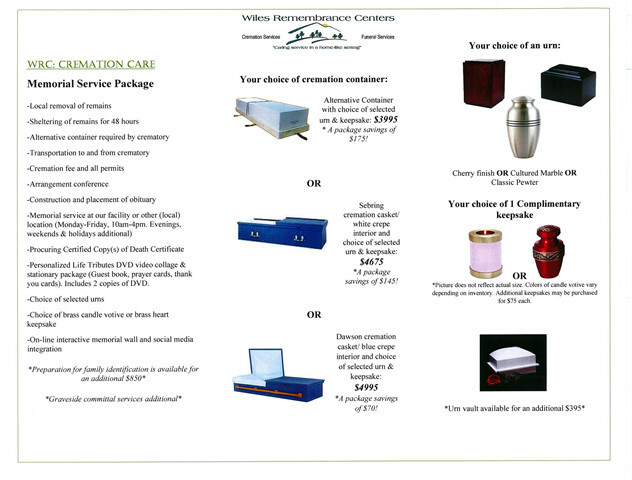 At our funeral home, families work with licensed staff to determine what their wants and needs are through our affordable package options. 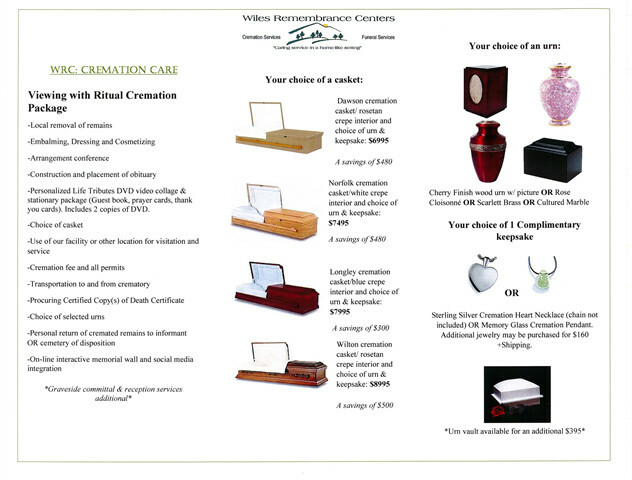 Whatever your family's needs may be, we are here to educate and serve. 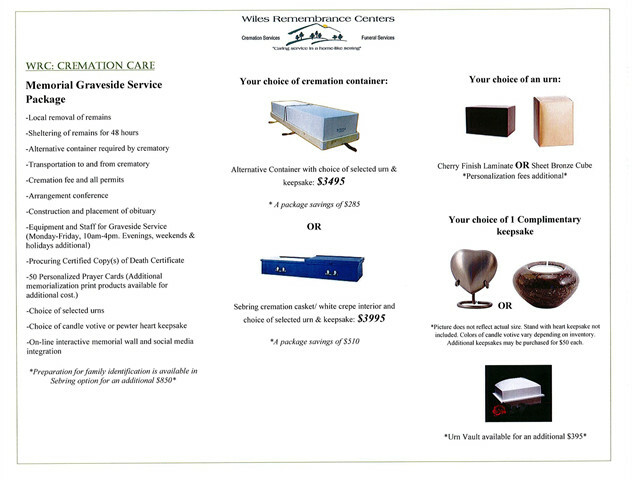 For further questions or to set-up an appointment, give us a call at 207.778.5911.